An irrigation water audit can help save valuable resources and encourage a healthy lawn. Through water auditing, we determine the exact amount of water your sprinkler system dispenses as well as the watering needs of the type of grass and plants on your property. Controlling water usage ultimately will lower your lawn maintenance costs and waste less water. This is especially beneficial for customers​ who might be​ overwatering their lawn, which can cause future expenses in treatment of grass fungus and pests and, in many cases, ultimately ​​full ​lawn replacement.​ While well water might be "free", the long-term costs associated with overwatering can have large ​impact on your budget. 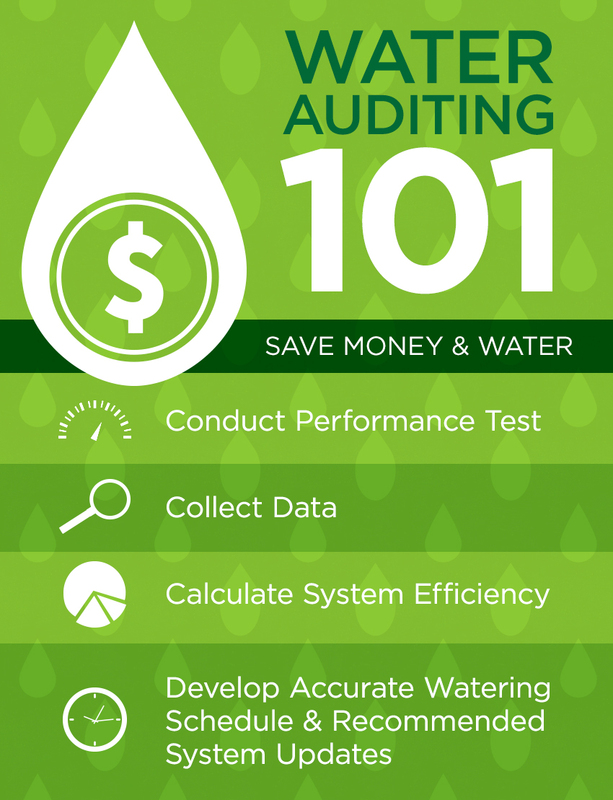 How does an irrigation water audit work? We begin by inspecting your irrigation system and conducting efficiency tests. Next, we collect data from our tests and calculate your system's effectiveness. Finally, we develop an accurate watering schedule and make recommendations for system updates or repairs. Skeets Mez, President of Mid-Coast Lawn Management and Panhandle Sprinkler Repair, is a Certified Irrigation Auditor with the Irrigation Association and the Florida Irrigation Association. Mid-Coast Lawn Management provides both residential and commercial lawn care, landscaping and sprinkler repair in the Florida Panhandle. We pride ourselves on managing our customers’ property with the best care possible. We have the knowledge, experience and services to help you keep your lawn in prime shape. Complete the request form and we'll contact you by phone shortly. Request a free estimate for your business or home. Established in 2002, Mid-Coast Lawn Management and Panhandle Sprinkler Repair is a locally owned, full-service company providing landscaping, lawn maintenance, and sprinkler repair solutions to the Santa Rosa, Okaloosa, and west Walton counties. © 2019 Mid-Coast Lawn Management.